Think ice-cream and sandcastles; long strolls on the beach and family fun. 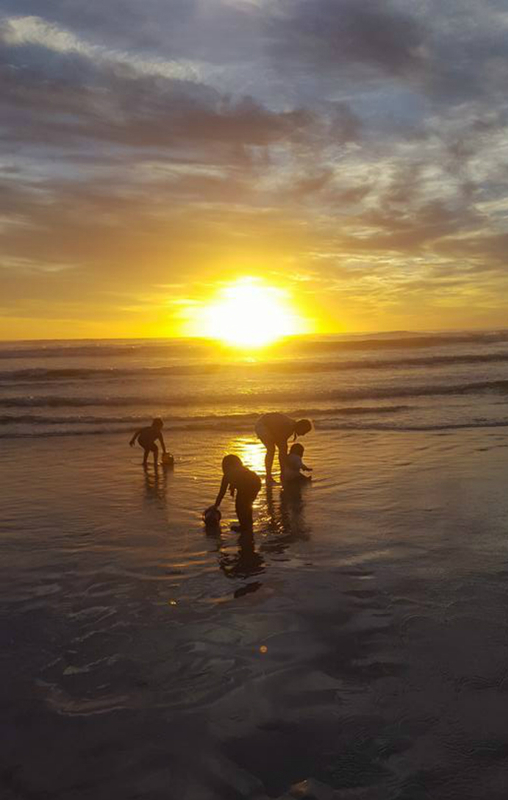 Strandfontein has a population of less than 200 permanent residents, but bursts at the seams come holiday time. Most of the houses are holiday homes, B&Bs and guesthouses. Strandfontein isn’t just a summer destination though. During late winter and early spring the town’s sandy cliffs provide excellent lookout points for whale watchers. The Wandering Whale Labyrinth, just south of the town, is a place for solace and contemplation built that features a path lined with blue mussel shells and pink rose quartz. Sea safety The currents along the beaches in Strandfontein are very strong, and visitors are advised to use the tidal pool when lifeguards are not on duty.